Only a space telescope can detect and study celestial X-ray sources, since the Earth’s atmosphere blocks out all X-rays. Such a telescope is the European Space Agency’s (ESA) X-ray Multi-Mirror (XMM-Newton) that was launched on December 10th 1999. It carries 3 high throughput X-ray telescopes with an unprecedented effective area, and an optical monitor, the first flown on a X-ray observatory. The largest XMM project approved to date is the XMM-XXL. XXL covers a total of about 50deg2 split into two nearly equal area fields. A team of over 100 astronomers from around the world analyzes the huge amount of data it collects. 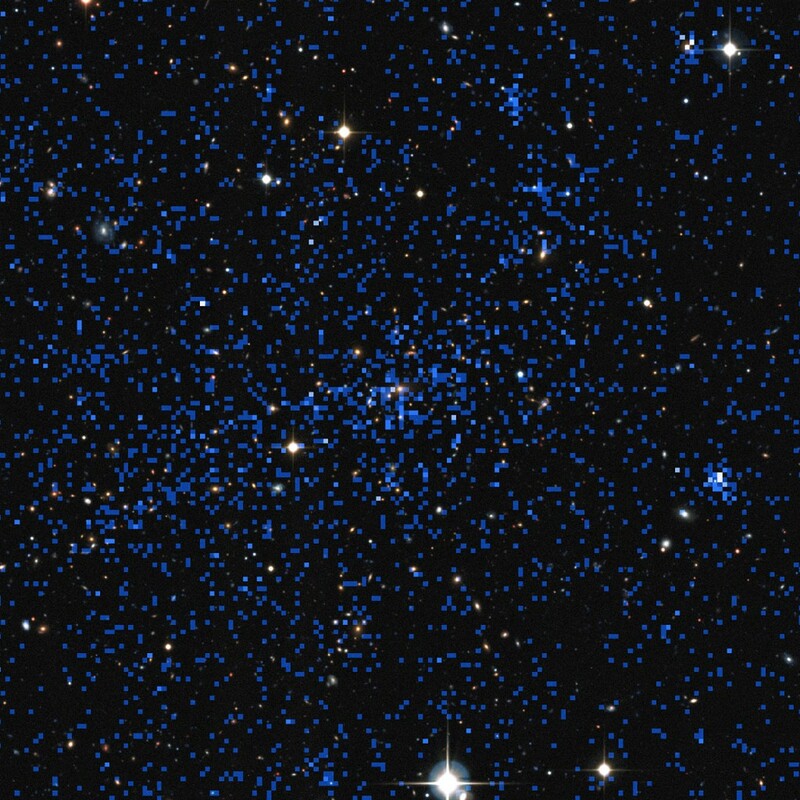 The main goal of the survey is to provide a well-defined sample of about 500 galaxy clusters out to a distance when the Universe was half its current age (see press release by European Southern Observatory (ESO)). Galaxy clusters are the largest gravitationally bound structures in the Universe. Their study is important to astronomers since their birth and evolution strongly depends on the dark matter and dark energy, two components that are poorly understood. Although only one fifth of the expected final data is available, on 15th of December the XXL team released 13 publications, presenting very interesting results. In one of these papers, the team used the brightest cluster sample they have available at the moment, to find out that the observed sky density of clusters is slightly below the predictions of the ESA’s Planck telescope. If this result is confirmed by the full sample of clusters, expected in 2017, will affect the measured values of important cosmological parameters, such as σ8 and Ωm.